Professor Yi-Lan Niu started her music training at the age of 4. She completed her master’s degree in voice at the Eastman School of Music and her doctoral degree in vocal performance at the University of Wisconsin-Madison. Throughout her academic career, Niu has been the recipient of numerous awards and scholarships including the Joyce and William Wartmann Scholarship, UW-Madison Opera Props Award and scholarships to the Hot Springs Music Festival, the Madison Early Music Festival and the Vancouver Early Music Festival. Collaborating frequently with classical guitarist Professor Christopher Cramer, Niu promotes a wide range of music written for voice and guitar. The Niu-Cramer Duo has performed throughout North America and Asia, including the United States, Canada, Taiwan and Singapore. 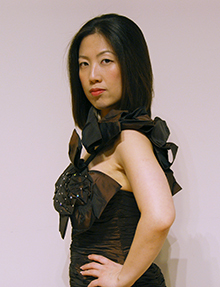 Niu also actively premieres vocal pieces written for her, including “Requiem” by New York-based composer Alexander Nohai-Seaman and the contemporary song cycle “Yuan Songs” by Professor Chi-Wei Hui from Hong Kong. Niu’s future engagements include a 2018 solo recital with organist Professor John Chappel Stowe from the University of Wisconsin-Madison and two world-premiere concerts with the award-winning composers Professor John Hennecken and Ms. Shing-Ying Lin in 2020. Her new vocal album, “Melodié Sacrée-Sacred Music by Gounod,” will be released by Centaur Records internationally in spring 2019.